Andrew and I were in the midst of making "Occupy Unmasked," an anti-Occupy Wall Street documentary with our mutual friend and colleague Stephen K. Bannon. As part of the promotion for the documentary, Andrew, Stephen, and I hosted a bloggers briefing at CPAC to introduce other cast members of the film and give a sneak peak of the trailer. To create some buzz for the event, Andrew, Stephen, and I concocted a plan to dress up in Guy Fawkes masks and capes. The original plan was to just walk into the screening room and interrupt the introduction. However, as he always did, Andrew thought outside of the box and said that he would walk around CPAC first to draw people into the briefing. So there was Andrew, in a Guy Fawkes mask and cape, walking around the hotel while the Occupy Wall Street crowd was trying to break into the building. He was stopped by security because they mistook him for an actual Occupier. Thankfully, a Citizens United staffer was with him and told the security officer of the hi-jinks. When Andrew finally made it to the screening, smiles and laughter filled the room. It was a classic Breitbart moment and I believe he really enjoyed it. Other people of Andrew's stature might have scoffed at the Guy Fawkes charade as a harebrained idea, but Andrew embraced it head on and went above and beyond as he has always done. I wish I could say I knew Andrew Breitbart better. I admired his work and how wrote about and stood up for things that weren't always popular; how he constantly took one for the "team" to get the real story out there – when no one else in the media was covering the true story. I had a brief experience with Andrew before he participated on a panel at our Blogger Briefing at CPAC launching our new film about the Occupy movement. Director Steve Bannon and CU President Dave Bossie, wanted to generate buzz for the film at the briefing by coming into the briefing wearing Guy Fawkes masks and black cloaks. Breitbart took it one step further. He donned the mask and cloak and paraded from outside the hotel where CPAC was being held, through the lobby, talking to people, telling them to follow him, to draw people into the briefing. The moment he walked past people and spoke, many knew it was him. His voice was unmistakable – in more ways than one. 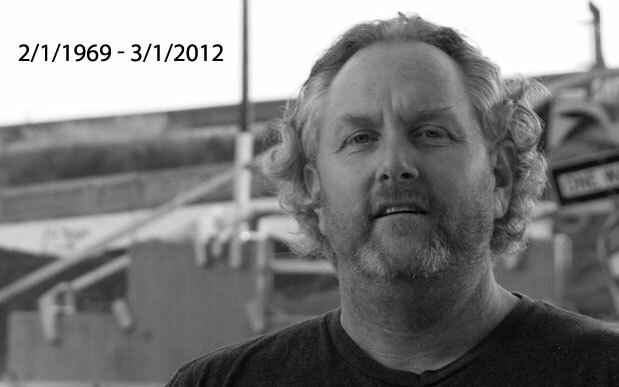 Andrew Breitbart truly was one of a kind and an inspiration to those of us in the new media and blogging community. It is a testament to the character of the man that so many have stories and fond memories of him. He really cared about the others fighting with him in the trenches against the Left, and he would talk to anyone as if they were an old friend. The day before CPAC, Breitbart was at the CU office shooting interviews for "Occupy Unmasked." We talked about the Occupiers' plans to disrupt CPAC, wondering if they'd try to crash the bloggers briefing we had planned the next day. He seemed excited at the possibility. As we were talking he was composing a tweet and asking my advice about it. He wanted to toy with the Occupiers and get them to think a lot more was happening to counter them at CPAC. He ended up with a tweet about rumors of a catapult to launch balloons filled with animal waste! The next day at CPAC he came into the Citizens United Blogger Briefing on "Occupy Unmasked" with a Guy Fawkes mask and cape, an image which some have told me is one of the last memories they have of Breitbart. It was an honor to be able to work with him, although it was too brief. He will be truly missed. The power is now in the possession of the people, and if you don't find that to be exciting, I think you are nuts.